As required by its mandate, SEAMEO QITEP in Language conducted a professional development programme for Japanese Language Teachers. 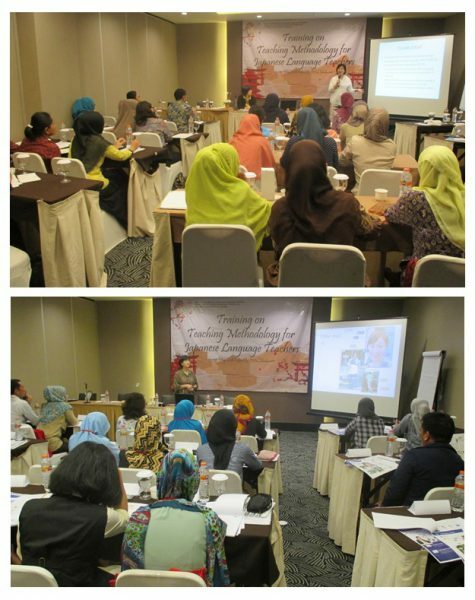 The training, which focused on professional and pedagogical competences, was held at the Santika Hotel Makassar on 23 to 29 May 2016 was attended by 29 teachers of secondary level from the city of Makassar and its surroundings. 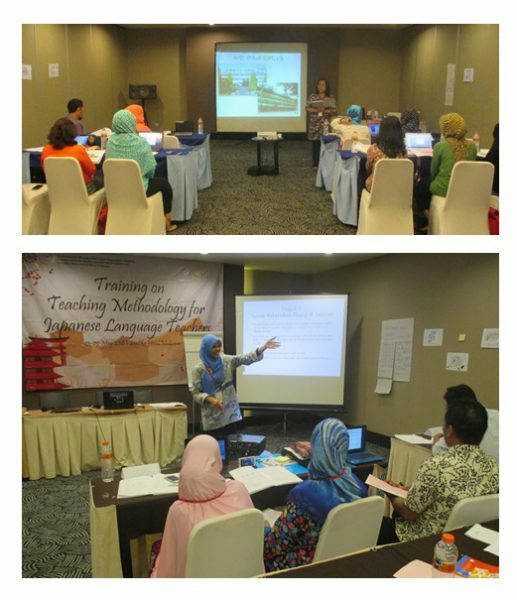 During the seven days training, resource persons that came from the Japan Foundation Jakarta, Ms Evi Lusiana and Ms Naomi Hatta and Hasanuddin University, Makassar, Ms Imelda delivered new methods in teaching Japanese language. The Japan Foundation also used their own latest textbooks as well as to test it to the participants. The textbooks named Marugoto, will be published by their institution which later is going to be used at senior secondary level. 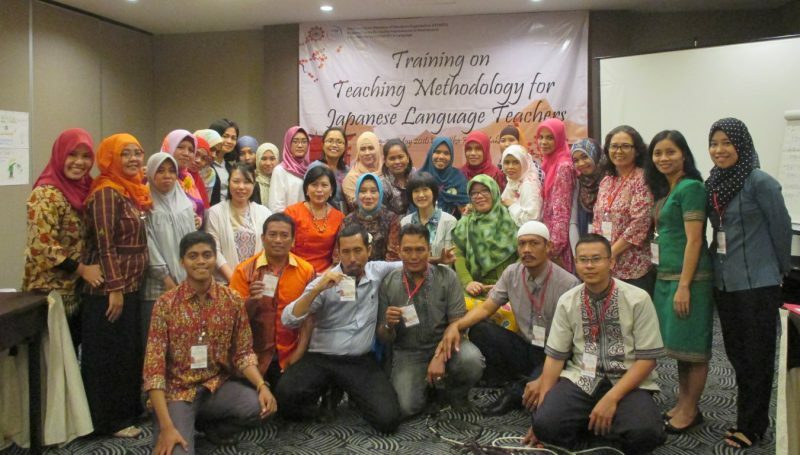 The material contained in the book which also presented in this training also referred to the standardization of the Japanese language skills specified by the Japan Foundation, the JF Standard. JF Standard assess the skill level of a person using a statement called “Can-do”, which shows how well the learner can do things in Japanese. In one of the sessions, the resource persons created a situation for the participants. In which they were asked to play as students trying to learn to use the Marugoto book. In one chapter of Life in the School, the participants practiced vocabulary and pronunciation. In groups they were assigned to create a poster about the hygiene in schools using the Japanese language and characters which they copied from the book. 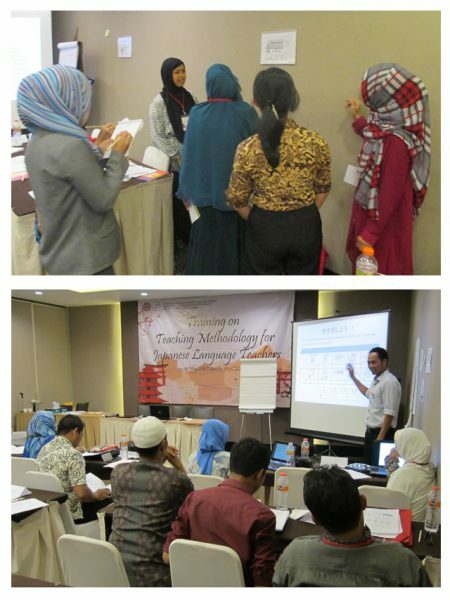 Finally, to close the micro teaching session, reflection was carried out. Not only to give evaluation and feedback to the participants on the results of their teaching simulation, but also as an input for the Japan Foundation as the author and publisher of the Marugoto student’s handbook.